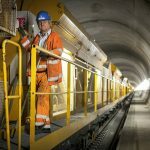 The Gotthard tunnel in figures. A new page in the Swiss ecology. June 1st 2016 will go down as an historic day for Switzerland and beyond. 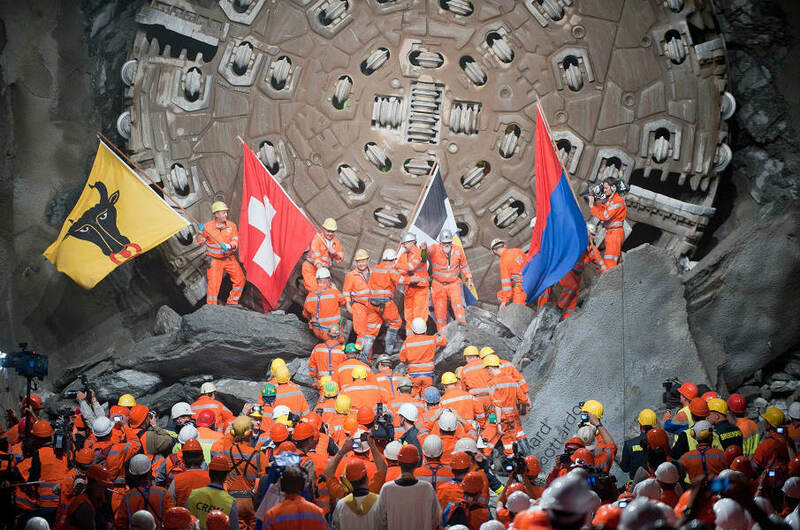 The eyes of the world were fixed on our little country as it opened the longest railway tunnel in existence today. 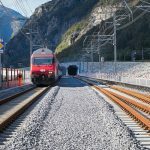 The new Gotthard tunnel links Uri canton to our Ticino canton and represents the heart of Rhine-Alps European corridor (linking Genoa to Rotterdam). 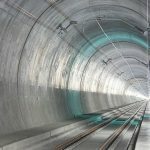 The project’s ecological objective, called AlpTransit, is to shift heavy goods traffic from road to rail, along the Gotthard and Lötschberg axes. 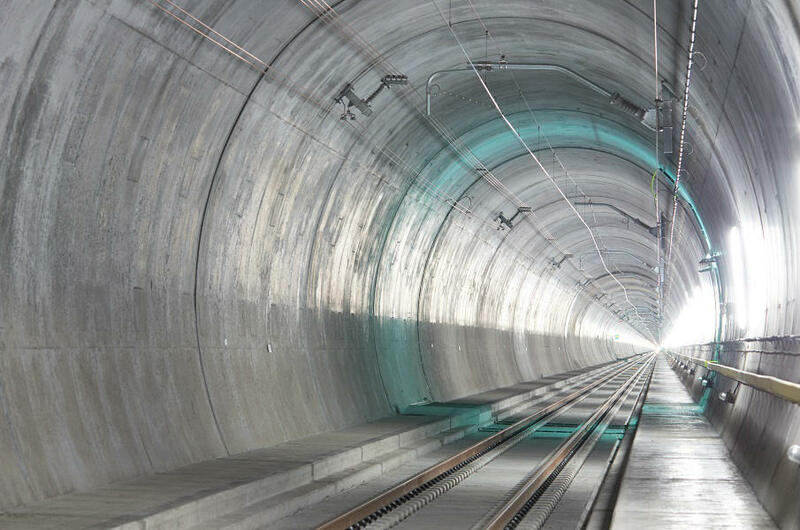 The new base tunnel is 57 km long and crosses the Alps at much lower heights than those of its predecessor, which opened in 1882. 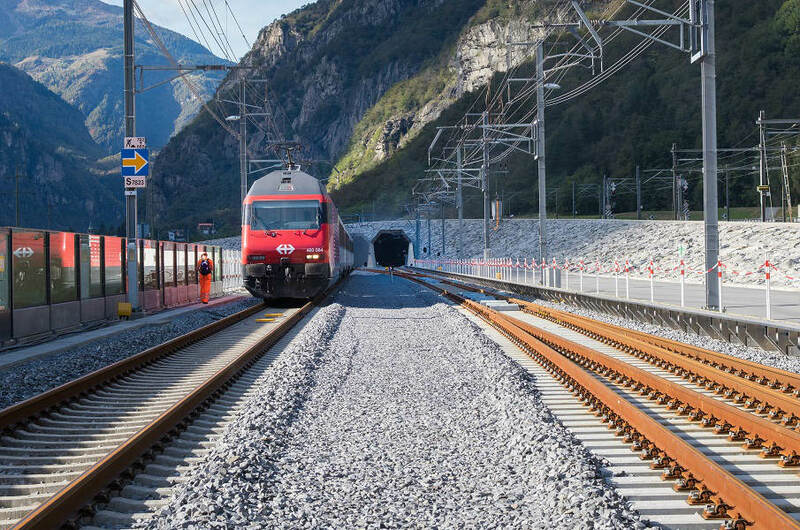 In this way, running at 200 km/h under 2,300 meters of mountain, fast trains will link Zurich and Milan in just two and a half hours, against four hours for the previous line. 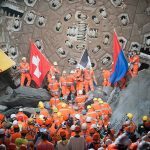 At a distance of 17 years from the first explosion, the official inauguration ceremony took place before leading Swiss and European authorities in attendance. 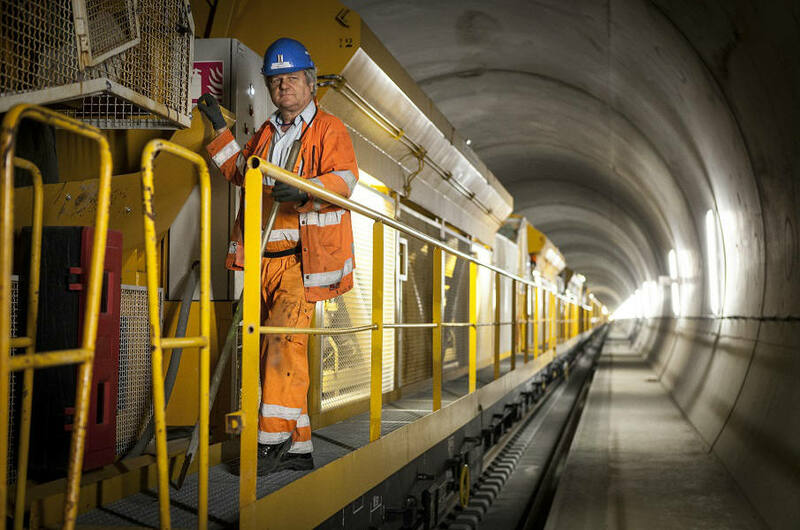 The celebrations will continue during the weekend of June 4-5 and include trips into the tunnel, shows and interactive exhibitions in the localities of Rynächt, Erstfeld, Pollegio and Biasca.